It's been a looming fear for most mographers: Getting old. Why do we believe that motion graphics is only for the young? The reality is that the industry is new, so we just haven't had the exposure to maturing animators and designers yet. In this guest article on Motionographer, Joey Korenman of School of Motion talks about his journey of being on the "Wrong Mountain" and what he did to fix it. We were honored to be included in this important discussion as Amanda Russell speaks about our dynamic at Cream and what it could mean for our future roles. GIFs are fun. Oh, and Happy Halloween! We carved a pumpkin with 8 frames of a bat flying because Halloween is our jam and we wanted to do something different. Shot at approximately :45 exposure time. We used Dragon Frame for the stop motion animation and pulled in some extra blues in After Effects. Enjoy! So we sometimes get bogged down with day to day work and can't find the time to look at big picture stuff. We decided a retreat would not only be fun, but an opportunity to focus on what's important. So we went to Cabo. Ok, Ok. It was Charlottesville which is a close second to this stock photo above. We stayed in a midcentury-modern home with a lap pool and original art in every direction. We hunkered down, focused, and occasionally rewarded ourselves with a beer. While animation and motion design is what we LOVE to do, it takes a lot of planning to keep a studio moving forward. We are always refining our creative process and observing the current trends. We were able to share the kind of work we would each like to explore, developed our marketing strategy and then went out for Ramen and Donuts, of course. By the end of the retreat, we were buzzing with excitement to have solid plans in place for the future. Next year, Cabo! Ruth's most recent creation is simply a stunner. 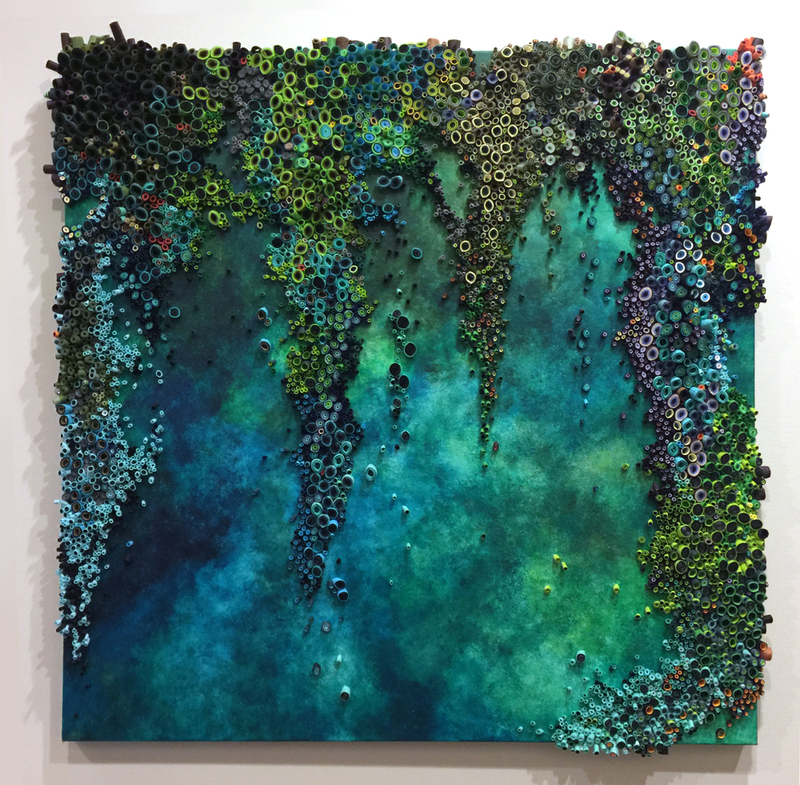 In her latest piece, "Mossy Keys", she combines a waterfall-like composition with drips of color pouring down from the top. If you aren't familiar with this type of medium, you aren't alone. Thousands of thin strips of rolled paper, painted canvas and a lot of glue comes together to create a feast for the eyes. It currently hangs in the main hallway at Cream, but we will reluctantly say goodbye when it is (inevitably) purchased.